The Coppell girls soccer team celebrates after a goal during a match against Lake Highlands in the 2017-2018 season. The Cowgirls will play Paschal on Tuesday at 7:30 p.m. at CHS9. 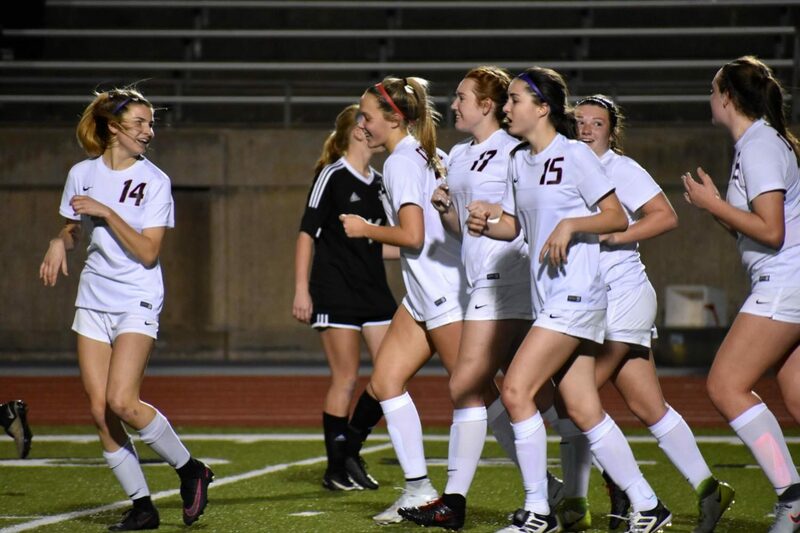 After a second place finish in the Midlothian Frostbite Tournament, the Coppell girls soccer team prepares to face Paschal at CHS9 on Tuesday at 7:30 p.m.
During the three-day tournament, the Cowgirls (6-1-1) faced Ennis, Gainesville and Mabank, winning 6-0, 6-0 and 4-0 respectively before falling to Midlothian, 1-0, in the championship match. The loss serves as a motivator for their upcoming match. Looking ahead, the Panthers (2-3-1) changed up their staff this season, giving the Cowgirls something new to work against. This Tuesday will be the last non-tournament match before district play begins on Jan. 17 at Irving MacArthur. 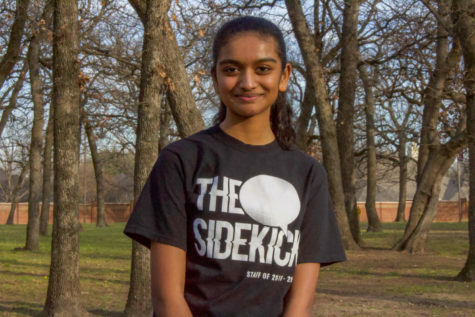 Follow the action on Twitter at @SidekickSports, with coverage starting at 7:30 p.m.